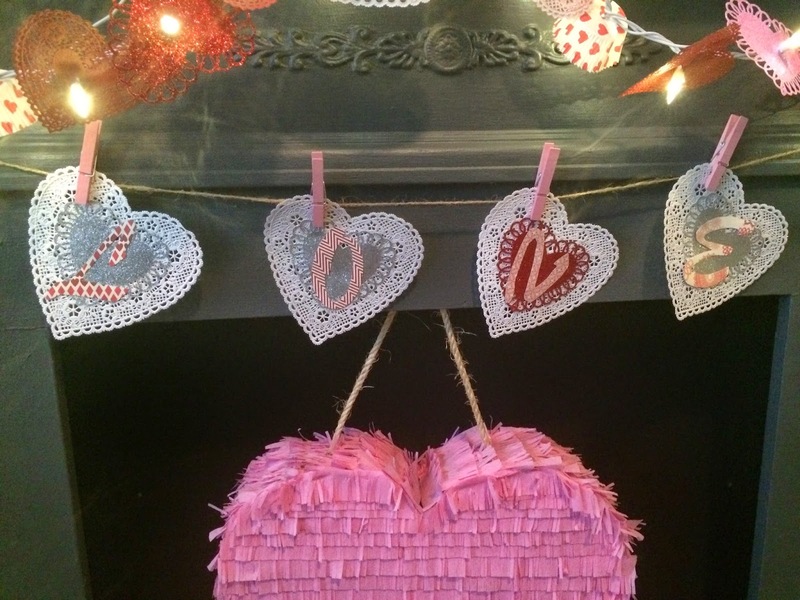 I wanted to share this love banner I created using some of the leftover doilies from the lighted Valentine’s Day garland project (http://slumberingalligator.com/2015/01/lighted-valentines-day-garland.html) and a couple of other items I had hanging out in my craft closet. I think it turned out great! For each heart, I glued a small heart doily onto a larger heart doily. Then, I simply traced my letters onto some scrapbooking paper, cut them out and adhered one to each of my four hearts. Clothespin them to some twine and SHAZAM! You’re done! Very sweet, love this one!